We’d love your help. Let us know what’s wrong with this preview of The Wind Guardian by Frank Scozzari. The ultimate threats facing United States come to life in Frank Scozzari's fast-paced thriller. With the help of an inside man, a group of determined terrorists siege a nuclear power plant, intending to spread radiation and wreak destruction into the world. The only thing standing in their way are two misfit security guards, who return to their posts and realize what is hap The ultimate threats facing United States come to life in Frank Scozzari's fast-paced thriller. With the help of an inside man, a group of determined terrorists siege a nuclear power plant, intending to spread radiation and wreak destruction into the world. The only thing standing in their way are two misfit security guards, who return to their posts and realize what is happening in the power plant. The two soon find themselves in a battle against time and odds, as the terrorists facing them will stop at nothing to accomplish their goals. To ask other readers questions about The Wind Guardian, please sign up. Did you realise (I noticed by accident) that when you say the title of this book aloud it sounds like you are about to say wind guardian leviosa? In an era where terrorism is more than a mere threat, Frank Scozzari’s Wind Guardian is a chilling accounting of a fictitious terrorist attack that is a worst nightmare come true. A nuclear power plant has been targeted by terrorists, and the final countdown is in progress as religious zealots plan to cause a complete nuclear meltdown with the fallout being carried on the wind, potentially killing millions. In spite of supposed air-tight security, run around the clock by vetted and well-trained specialists, the human factor becomes involved as one insider becomes a traitor and two security specialists would rather risk leaving their posts for a tryst on a reactor then live up to the responsibility of their jobs. Is it possible that a man who prefers pushing the envelope of life instead of honoring his paycheck by actually earning it and a young and naïve new recruit infatuated with what she sees as an adventurous lover could be the only ones left standing against well-armed terrorists? Do they stand a chance or will they find this night could be their last? Follow Frank Scozzari as he deftly creates an all too realistic scenario, adds “the worst that can happen” twists to his dark and disturbing tale while serving up a frightening account of the power of hatred, treachery and human failings. As citizens, we fear this could become reality, as humans, we know this is a definite possibility, yet to be completely surrounded by these events under the bold writing of Frank Scozzari, one would wonder how anyone can sleep at night! Brilliant writing, completely riveting and hopefully, this will remain the fictitious writing of a strong wordsmith. I received this copy from Frank Scozzari in exchange for my honest review. Frank Scozzari is not only an engrossing thriller writer but has an attractive descriptive style placing him at a remove from many crime writers. In The Wind Guardian he shows deep insights into the Californian landscape and heritage which are very relevant as backdrop to make the story doubly interesting. The natural world is presented in stark contrast to the nuclear power plant looming with its radioactive danger, reminiscent of the film The China Syndrome. The gradual build up and growing momentum of the intriguing plot propels the reader onwards in its narrative drive. There is evidence of great technological research, for example in pointing out that the GPS device could be fitted under a firefighter’s oxygen tank so that, unlike the firemen of 9/11, he could be tracked in a burning building. But that is not all that is in this story: As the threat of a terrorist attack grows nearer, there is a parallel love story interlinking which makes this novel a compelling cocktail. 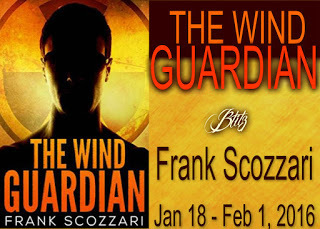 THE WIND GUARDIAN by author Frank Scozzari is a fast-paced action thriller that will totally entertain you. I voluntarily reviewed an Advance Reader Copy of this book. I found myself completely absorbed in the story and couldn’t put this book down. The story begins with Cameron, a night guard in the nuclear plant in California, heading for work at a nuclear plant for yet another boring shift. He had no idea what was coming his way! His only excitement is his new girlfriend, Grace, a novice guard, THE WIND GUARDIAN by author Frank Scozzari is a fast-paced action thriller that will totally entertain you. I voluntarily reviewed an Advance Reader Copy of this book. I found myself completely absorbed in the story and couldn’t put this book down. The story begins with Cameron, a night guard in the nuclear plant in California, heading for work at a nuclear plant for yet another boring shift. He had no idea what was coming his way! His only excitement is his new girlfriend, Grace, a novice guard, who just like Cameron are both new on the job. But neither one of them could anticipate what was to come! This was a very exciting well-written read and would make a great movie. I was impressed with the author’s knowledge of the inside working of a nuclear plant and its security procedures. The characters are genuine and authentic. Highly recommended. The Wind Guardian relentlessly takes the reader on a breathless journey into the dark heart of terrorism at its worst. Add a dash of romance along with a smidgen of self-deprecating humor, stir in a generous helping of intrigue, add a few conniving villains bent on unimaginable destruction with only one man and one woman who can stop it from happening, and you have all the makings of a non-stop thriller that will keep you up way past bedtime. Sorry I'm late for work, boss, but you gotta read thi The Wind Guardian relentlessly takes the reader on a breathless journey into the dark heart of terrorism at its worst. Add a dash of romance along with a smidgen of self-deprecating humor, stir in a generous helping of intrigue, add a few conniving villains bent on unimaginable destruction with only one man and one woman who can stop it from happening, and you have all the makings of a non-stop thriller that will keep you up way past bedtime. Sorry I'm late for work, boss, but you gotta read this book! Author Frank Scozzari packs this tale with such attention-grabbing details that he brings the story to life in ways not many writers can match. Think Michael Creighton and Peter Benchley. If you are into suspense novels like I am, I have a feeling that this is one book you'll be telling all your friends and relatives about. Talk about a rollercoaster of emotions, The Wind Guardian has them all. I like this author's writing style. This book is a Californian thriller which is both well written and thoroughly entertaining. It features a thought provoking scenario which is frighteningly real. Recommended. This suspenseful, ticking clock scenario begins with Cameron, the protagonist, who comes across as a jaded man who finds himself stuck in an 8-hour a night job. He seems disinterested in the fact that he is notoriously late and doesn't care if he's fired because of the monotony working as a security guard at a Nuclear Plant. Cameron and his girlfriend Grace break away during their work duty for a secret rendezvous as they mischievously discover the playground of a nuclear plant at night, like a c This suspenseful, ticking clock scenario begins with Cameron, the protagonist, who comes across as a jaded man who finds himself stuck in an 8-hour a night job. He seems disinterested in the fact that he is notoriously late and doesn't care if he's fired because of the monotony working as a security guard at a Nuclear Plant. Cameron and his girlfriend Grace break away during their work duty for a secret rendezvous as they mischievously discover the playground of a nuclear plant at night, like a couple of kids, all while terrorist activities are going on around them. The author Frank Scozzari skillfully sets up the foundation of this page-turning thriller that contributes a believable and compelling story. His unique voice and impressive understanding for the day-to-day or night-to-night lives of nuclear security guards and the normal routines at a Nuclear Plant is both interesting and no doubt accurate. He displays in-depth characters with quick instincts, intelligence, and wit, all wrapped around an organic story format. The sometimes-funny workplace division and jokes played on others, packs in plenty of sharp humor. Scozzari's ability to capture diverse personalities and captivating dialog displays unconscious roots of behavior mixed with conscious ones, such as boredom, hatred, romance at the most unlikely times, enlightenment, and lastly heroism. Humorous realism comes through loud and clear. My father retired from the nuclear field and being raised around nuclear test sites growing up, I have an understanding and recognition for the author's descriptions and policies. Anything nuclear is of interest to me and I can remember as a five-year old child living in Las Vegas and seeing the last above ground atomic bomb go off at the Nevada nuclear test sight in 1962. I've wondered about the impacts of cancer from radiation unleashed on tens of thousands of citizens, and their families let alone the employees who were closer still. The vivid image of the atomic bomb going off is as clear as if it just happened. I hope another Atomic bomb never goes off again like in Japan. I hope terrorists never infiltrate a nuclear power plant or anything nuclear. The story opened with a brutal scene then switched to a security guard headed for work at a nuclear plant. Perfect. Immediately. Scozzari made me want more! The story, told through the view of several different characters mostly focused on Cameron, who is new to the job of security officer at the plant. Cameron is in love with Grace, a coworker, but the romance is only part of the story. This author doesn't just tell the reader what's taking place--he shows with elaborate descripti Wild Thriller! The Wind Guardian is full of intrigue and suspense. And in light of whats happening around the world, a scary read of what could happen if terrorists have their way. Author, Frank Scozzari has written a precisely detailed book of a Nuclear Power Plant which leads me to believe that he actually worked at a Nuclear Facility or Mr. Scozzari has been knee deep in research. His intricate details of the facility brings the reader into sharp clarity of exactly where you are and the tactical procedures The Wind Guardian is full of intrigue and suspense. And in light of whats happening around the world, a scary read of what could happen if terrorists have their way. Author, Frank Scozzari has written a precisely detailed book of a Nuclear Power Plant which leads me to believe that he actually worked at a Nuclear Facility or Mr. Scozzari has been knee deep in research. His intricate details of the facility brings the reader into sharp clarity of exactly where you are and the tactical procedures that develop in a Nuclear Plant. The prologue begins with a Bang! Then we head over to Cameron Taylor getting ready for his midnight shift at the Mal Loma Nuclear Power Plant. He hates the boring routine of the mundane security procedures. The only part of the job he has come to like, is his co-worker and love interest Grace. Little does he know, the night ahead will be anything but boring!!! We come to know Cameron as not the hero-type character, but an everyday Joe who likes to screw-up. As the night of routine commences the reader is taken to different scenes which intensifies the book. Then there's a surprise twist, and all hell breaks loose. Cameron and Grace are two people in the wrong place at the right time. Our everyday security sentinals, Cameron and Grace our on the run for their lives. 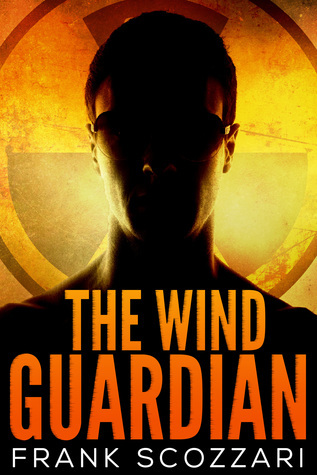 “The Wind Guardian” is a quick-paced, action packed thriller that will keep you on edge till the very end. 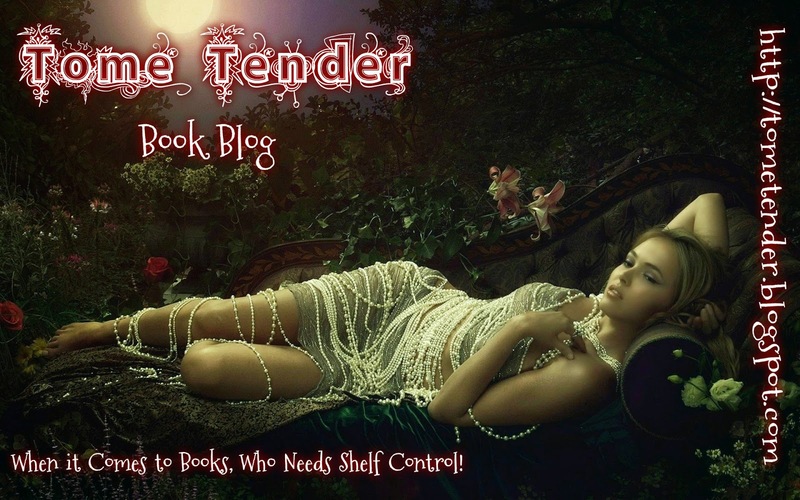 I found myself completely engrossed in the story and couldn’t put this book down. The main character Cameron, a night guard in the nuclear plant in California, starts yet another boring shift not expecting anything extraordinary coming his way. The only excitement brightening his night is his new girlfriend Grace, a rookie guard, who just like Cameron prefers to sneak out with her beloved ou “The Wind Guardian” is a quick-paced, action packed thriller that will keep you on edge till the very end. I found myself completely engrossed in the story and couldn’t put this book down. The main character Cameron, a night guard in the nuclear plant in California, starts yet another boring shift not expecting anything extraordinary coming his way. The only excitement brightening his night is his new girlfriend Grace, a rookie guard, who just like Cameron prefers to sneak out with her beloved out of the watchful eye of the cameras to enjoy each other’s company. But neither of them couldn’t anticipate that exactly that night two vengeance driven terrorists and an infiltrated enemy among the guards will decide to strike and make the nuclear plant a weapon of mass destruction… Now the destiny of thousands of people lay in the two brave lovers’ hands. This is one of those thrillers everybody should read, and would make a great movie. Highly recommended, gripping read! The Wind Guardian grabs from you the very beginning building into an enticing action-packed thriller with the perfect amount of romance and intrigued to keep you hooked from start to finish. The author has a fluid, smooth writing style which makes the characters interesting and keep you invested in this outstanding must read. Do yourself a favor and read your copy today! The Wind Guardian is the first Frank Scozzari book I have read. If you are looking for a terrorist threat action story that is driven by the characters I received a free copy of this book in exchange for reviewing it. It took a bit of time to get through this book with trying to read it over the busy and highly distracting Christmas season. The terrorist action plot is not my favorite genre, but I have no regrets in taking the time to read The Wind Guardian. This is an honest and unbiased review. Set with a backdrop of the highly charged nuclear power industry, the author pitched this to absolute perfection because it was just the type of target that would be have the world holding its breath, and as the tale unfolded it had me holdi This is a story that for all the right reasons is one that should not be missed. This is one of the best thrillers I have read in a long time. There is nothing of the known background of the author to indicate that he has experience in nuclear power plants, and that is what makes this book impressive. As someone who has worked in the nuclear industry, I appreciated the description of nuclear plant systems and security protocols. Frank Scozzari has written a credible suspense story wrapped around power plant technology and its security aspects. Some people may not enjoy such This is one of the best thrillers I have read in a long time. There is nothing of the known background of the author to indicate that he has experience in nuclear power plants, and that is what makes this book impressive. As someone who has worked in the nuclear industry, I appreciated the description of nuclear plant systems and security protocols. Frank Scozzari has written a credible suspense story wrapped around power plant technology and its security aspects. Some people may not enjoy such an extensive amount of technical information, but I feel that it is necessary to show that nasty things can happen if the bad guys can penetrate the defenses of a critical facility. The terrorists attempt to force a nuclear meltdown with the help of an insider and professional killers. They manage to create mayhem, and the only two guards that can prevent them from releasing a radioactive cloud are temporarily out of the loop due to a brief tryst out of sight of the security cameras. The book effectively covers a typical dilemma of security work in such an environment. The guards receive extensive training, and then end up enduring endless boring security shifts, leading to lapses that determined foes can exploit. I like the description of how the two lovers relate to each other, even if their relationship leads to negligence. Even the terrorists are believable, their burning desire to do damage on the Western world, their hatred based on ancient grievances and current wrongs that are the inevitable result of collateral damage in war. The narrative starts slowly, but soon it moves to and increasingly suspenseful pace. The second half of the book is difficult to put down because you really want to know what happens next. Well written, believable characters, plenty of realism and suspense. This is a book that should be made into a movie. Even better, it should be carried by the bookstores, it’s that good. The Wind Guardian is a thoroughly enjoyable, action-packed thriller which is well written and researched. The author's knowledge of the the main subject, as well as the obviously well-researched ancillary points/plots/sub-plots comes shining through as you read. When Mr Scozzari writes of the weapons used or the local coastline and it's wildlife, the history of the indigenous Chumash Indians, or the thought processes and experiences of terrorists, one feels that it is almost from a position of p The Wind Guardian is a thoroughly enjoyable, action-packed thriller which is well written and researched. The author's knowledge of the the main subject, as well as the obviously well-researched ancillary points/plots/sub-plots comes shining through as you read. When Mr Scozzari writes of the weapons used or the local coastline and it's wildlife, the history of the indigenous Chumash Indians, or the thought processes and experiences of terrorists, one feels that it is almost from a position of personal experience, the descriptions are so intense and vivid. This is an edgy, gripping tale which consumes the reader right from the very beginning. The nuclear industry provides the fuel we need to live, thrive and survive. It is essential in the modern era, some would argue a necessary evil due to population growth and global warming. However, it is also intensely vulnerable to attack. A fact known to friend and foe alike. The basic premise for this novel is everyone's worst nightmare; a terrorist attack on a nuclear power plant. The only thing standing in the terrorist's way are a bunch of highly trained but, as we soon come to realise, flawed security guards. An attack is launched and it's anyone's guess as to how it will turn out. What follows is a dangerous game of cat and mouse, where the lines are drawn and blurred beyond recognition at times, and it's hard to tell the bad from good. The characters are so very well developed they draw you in to the story. The suspense builds slowly and effortlessly at first, but it is then unleashed mercilessly onto the suspecting reader. You know what's coming and yet there are surprises and twists which keep you reading on for more. “The Wind Guardian” interweaves the reader into the action, inside, and within the environs, of Mal Loma, a nuclear power plant evocative of the Diablo Canyon plant near San Luis Obispo, California. The story comes at us so deeply immersed in the minds of key characters, that one almost roots for the bad guys. Nuclear energy produces the cheapest electricity, with the smallest carbon footprint, but it risks appalling consequences: fatal radiation and nuclear explosion. Much is done to control the “The Wind Guardian” interweaves the reader into the action, inside, and within the environs, of Mal Loma, a nuclear power plant evocative of the Diablo Canyon plant near San Luis Obispo, California. The story comes at us so deeply immersed in the minds of key characters, that one almost roots for the bad guys. Nuclear energy produces the cheapest electricity, with the smallest carbon footprint, but it risks appalling consequences: fatal radiation and nuclear explosion. Much is done to control the risks, but is it enough? What if someone sabotaged a nuclear power plant? “The Wind Guardian,” by Frank Scozzari, Published 2015, by Creativia, wonders about that very question. This is no made-for-TV shoot ‘em up, although there is ample shooting and vivid imagery. The book rests on well-researched details of setting, weapons, machinery, security routines, and bureaucracy. The characters have complex backstories. The geography, including its archeological history, is itself a character, playing a providential role in the drama. There is even a walk-on, almost a speaking, part for the memory of the Chumash Indians, whose pre-colonial range was on the California coast. They are all here: the well intended, the experts-at-what-they-do, the screw-ups, the mindless bureaucrats, the mercenaries, the ideologues, the spirits of the long dead, and the lovers. In the end, as with the narrative of life, chance becomes a player, thwarting some efforts and enabling others. Read this book for its drama and human insight, and learn a little something about living with unthinkable risk. Frank Scozzari has masterfully assembled a thriller which will horrify and amaze the reader. Back when nuclear power plants opened, we worried about leakage or meltdowns, or an earthquake sending radioactive material across the nation. Three Mile Island was seen as a tragic fluke. These days, the nuclear plant is a spit-and-polished, perfectly calibrated system, seemingly impenetrable. What hasn't changed, and what worries us so much more now, is terrorism. Whether you prefer foreign or domestic terrorists, the lone wolf C4 man-bomb one, or the team of idiots - you have all of them in The Wind Guardian. In this irresistible page-turner, you get to know the buttoned up, tight as a drum boss, the no-nonsense "do your job" drone, the habitually late guy, the horny female who wants to just "do it" in the most dangerous place on the planet. You don't want to know the snipers who are simply waiting for the right moment to plant ammo into someone, or the IT's who can hack into anything that doesn’t breathe. The cherry on the sundae is Scozzari's ability to perceive and convey the range of emotions of his characters, from casual to near paranoid, as well as the meaning they attach to being so close to the Power Source, from humdrum to something akin to spiritual ecstasy. It is a brilliant read. This book has a many sub plots that come together in a fantastic finale. Cameron is a loved-up security agent working for his local nuclear power plant. He’s bored with his job and the only reason he still turns up every day is because Grace, his new girlfriend, also works there. There are plenty of characters to become attached to, but he was my favourite, and I followed him from the edge of my seat, hoping that he would make it out alive. The story is set in and around the confines of the powe This book has a many sub plots that come together in a fantastic finale. Cameron is a loved-up security agent working for his local nuclear power plant. He’s bored with his job and the only reason he still turns up every day is because Grace, his new girlfriend, also works there. There are plenty of characters to become attached to, but he was my favourite, and I followed him from the edge of my seat, hoping that he would make it out alive. The story is set in and around the confines of the power plant, and so much detail has gone into the workings and layout that you might think you would be bogged down with it, but this is not so. The writer makes sure you know where you are and who you are with at all times, and by the middle of the book you become so engrossed within it that you almost feel like you work there yourself. I really enjoyed this book, the story was intricate and amazing. The love interest between Cameron and Grace was endearing and exciting. The interaction between the terrorist was eye opening and really enriched the story giving it a completely three dimensional feel. I consider this book to be an amazing piece of work, which touches some sensitive issues in a thoughtful and entertaining way. Not only did this book allow a great peak into the world of security and terrorism, it also showed that a little sponteneity can often be a life saver. If Cameron and Grace had not decided to take a little romantic detour and leave their posts then the whole outcome of this attack on a nuclear power station would have been a whole lot worse. Needless to say it saved their lives but left them as the only possible saviours of the situation. I also like the handling of the two main terrorists. It ga Not only did this book allow a great peak into the world of security and terrorism, it also showed that a little sponteneity can often be a life saver. If Cameron and Grace had not decided to take a little romantic detour and leave their posts then the whole outcome of this attack on a nuclear power station would have been a whole lot worse. I also like the handling of the two main terrorists. It gave a back history which allowed some insight to their views and feelings, even if we don't understand or agree with their extreme actions. As with his other book, author Frank Scozzari likes to give an ambiguous ending. It appears to be a happy ever after but the way he treats it always leaves the future open to interpretation. We are left to decide if we want Cameron and Grace to have their forever or did Cameron succumb to the radiation in the end? And what happened to our two terrorists? Did they get away clean on the boat? We'll never know but can spend endless hours pondering possible outcomes. Frank Scozzari has a real winner here. “The Wind Guardian” is a creative thriller with many facets and likeable, lifelike characters. Cameron Taylor and Grace Baker are rather slipshod security guards for the Mal Loma Nuclear Power Plant in California. They take time from their duties to perpetuate their not-so-secret affair, leaving their assignments to rendezvous with one another in parts of the power station unseen by cameras. Little does anyone know that two terrorists, a skilled sniper, and Frank Scozzari has a real winner here. “The Wind Guardian” is a creative thriller with many facets and likeable, lifelike characters. Cameron Taylor and Grace Baker are rather slipshod security guards for the Mal Loma Nuclear Power Plant in California. They take time from their duties to perpetuate their not-so-secret affair, leaving their assignments to rendezvous with one another in parts of the power station unseen by cameras. Little does anyone know that two terrorists, a skilled sniper, and a man on the inside are planning to kill the security staff and sabotage the reactor badly enough to send it into a meltdown. I have to say that I was surprised by the fact that Cameron and Grace took such roles in the book. They come across as complete goof offs for much of the story, but are evolved into wonderfully developed, strong characters. Another great job by Frank Scozzari. This one would make a great action film. As with his other book, however, the editing could have been done better. There were some typos and missing punctuation that should have been caught. None of this took away from the strength of the story, I must add, but such little details serve as speedbumps to an otherwise fantastic work. 4 ½ stars out of five for this thrilling tale. I must admit, I was super excited to read this book! I read Frank Scozzari's other book, From Afar, so expectations were high. He most certainly didn't disappoint! This is a fast-paced, emotive thriller about two unsuspecting security guards faced with a real-life terrorist attack while on the job. The story is intense and feels uncannily real! I hung on every word, literally biting my nails at times...Unlike many thrillers that give us a sense of removed danger, this book drives home the fact t I must admit, I was super excited to read this book! I read Frank Scozzari's other book, From Afar, so expectations were high. He most certainly didn't disappoint! This is a fast-paced, emotive thriller about two unsuspecting security guards faced with a real-life terrorist attack while on the job. The story is intense and feels uncannily real! I hung on every word, literally biting my nails at times...Unlike many thrillers that give us a sense of removed danger, this book drives home the fact that these sort of occurrences are possible and likely. Terrifying! The author has this amazing ability to connect the reader to his characters, and the fear and emotions were so raw and natural, I felt like I was right there in the scene (which was frightening but awesome!). The author's writing is top notch, flowing smoothly, building tension at every twist and turn. This is a powerful book that will affect readers and keep them up late into the night reading! I'm becoming quite a fan of Frank Scozzari, and I can't wait to see what he writes next!!! Like with his last book, this one is definitely at the top of my list for best reads in 2015!!! Forget about James Patterson, David Baldacci or John Grisham. If you are looking for a very well written thriller that will keep you reading on the edge of your chair, look no farther. This book is what you are looking for. An incredible plot developed in full details, very credible. The author developed the characters in a way that make us cheering for our heroes on every turn of pages. This would make an incredible Hollywood movie. Plot is simple and yet involving. A terrorist attack is planne Forget about James Patterson, David Baldacci or John Grisham. If you are looking for a very well written thriller that will keep you reading on the edge of your chair, look no farther. This book is what you are looking for. An incredible plot developed in full details, very credible. The author developed the characters in a way that make us cheering for our heroes on every turn of pages. This would make an incredible Hollywood movie. Plot is simple and yet involving. A terrorist attack is planned with inside help on a nuclear power plant, and the only people in the way of a major disaster are two security officers (Cameron and Grace) that, at the moment when the attack started, were out of their posts, for a good reason. Excellent work, I recommend this book to the permanent library of any reader in search for a thriller that will keep them entertained for hours. What an exciting read!! Unfortunately I kept getting interrupted when I read this, which was a little annoying but I quickly got back into the flow of the story. The attention to detail that Frank Scozzari put into this book is awe inspiring, especially with the workings of the nuclear plant and the routines that the security guards had to follow through their shift. His characters had diverse personalities which was believable and could be related to any workplace. He even allowed us readers to What an exciting read!! Unfortunately I kept getting interrupted when I read this, which was a little annoying but I quickly got back into the flow of the story. The attention to detail that Frank Scozzari put into this book is awe inspiring, especially with the workings of the nuclear plant and the routines that the security guards had to follow through their shift. His characters had diverse personalities which was believable and could be related to any workplace. He even allowed us readers to delve into the minds of the bad guys as well as the main characters. The story is fast acting, intense and intriguing which had me flipping the pages. The two main characters Cameron and Grace made the story whole... their romance was sweet and was a breath of fresh air as the terrorism threat thickened without their knowledge until they were literally thrown into it... they were both in the wrong place (and thankfully) at the right time. Frank Scozzari’s THE WIND GUARDIAN is a heart-pounding journey delving into one of today’s worst nightmares, a terrorist attack on a nuclear power plant. With realistic characters, intrigue, suspense, and a touch of romance, this story hard to put down. The main character, Cameron, is a night guard in the nuclear power plant in California. When a boring shift turns deadly, Cameron must figure a way to save not only his girlfriend Grace, but also the people of San Roque and beyond. As I read, I be Frank Scozzari’s THE WIND GUARDIAN is a heart-pounding journey delving into one of today’s worst nightmares, a terrorist attack on a nuclear power plant. With realistic characters, intrigue, suspense, and a touch of romance, this story hard to put down. The main character, Cameron, is a night guard in the nuclear power plant in California. When a boring shift turns deadly, Cameron must figure a way to save not only his girlfriend Grace, but also the people of San Roque and beyond. As I read, I became more and more invested in what the future held for Cameron, Grace, and all the other employees of Mal Loma Nuclear Power Plant. I enjoyed switching between the different character’s perspectives. Being able to see what was to come through the villains’ eyes added more tension to this thriller. This is the first book by Frank Scozzari I’ve read, but it won’t be my last. I recommend THE WIND GUARDIAN to lovers of thrillers and suspenseful action. The Wind Guardian By Frank Scozzari is very well written. He did his research or has intimate knowledge of a nuclear power plant and security. Every detail of this novel was realistic.This novel is a romantic thriller that is action packed and very plausible.Terrorists and insider sabotage could target nuclear power plants in an attempt to release radioactive contamination into a community. I remember the United States 9/11 Commission saying that nuclear power plants were potential targets consi The Wind Guardian By Frank Scozzari is very well written. He did his research or has intimate knowledge of a nuclear power plant and security. Every detail of this novel was realistic.This novel is a romantic thriller that is action packed and very plausible.Terrorists and insider sabotage could target nuclear power plants in an attempt to release radioactive contamination into a community. I remember the United States 9/11 Commission saying that nuclear power plants were potential targets considered for the 9/11 attacks. That alone makes this an important read. A very fast paced and gripping one at that. I highly recommend this book. You may want to read this before it hits the big screen and becomes a major motion picture. Then you can tell all your friends, “I read that book before it was a movie.” The love story part of this novel touched my heart. Frank Scozzari is an American novelist and short story writer. A five-time Pushcart Prize nominee, his short stories have been widely anthologized and featured in literary theater.